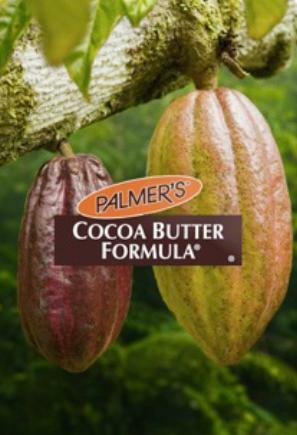 Just like chocolate, Palmer’s Cocoa Butter Formula is a sensual, rich lotion that melts on contact with skin to deeply penetrate & seal in moisture. As one of the world's leading names in skincare, the Cocoa Butter Night Renewal Cream is Palmer’s number 1 formula! Easy on the pocket at just S$19.90, this Night Renewal Cream is a deep penetrating anti-aging skin treatment to target skin firming & smoothing. Cocoa & Shea Butter moisture deeply. Retinol encourages renewal, Peptides invigorates the skin while antioxidant Vitamin E & Milk Proteins improves texture & tone. This unique combination of ingredients produces a luxurious cream to maintain moisture levels throughout the night for smoother, softer skin. Don't we just love samples? Palmer's is now giving away samples to residents of Singapore, just by signing up at Palmer's community page! 1. Head down to www.facebook.com/palmerssingapore. 3. On the left-hand side, click on the 'Palmer's Community Sign Up'! 4. Wait for your samples to be delivered! Hey, this product sounds great & suits my budget! Nice review! Will chk out this item at the pharmacy! Going over to FB now to register for their free samples. Thks so much! Charmaine, yap & price's so reasonable! Babel, thks for your lovely comments! Happy shopping! Yes to this product and I have it besides the may night cream on my shelf. 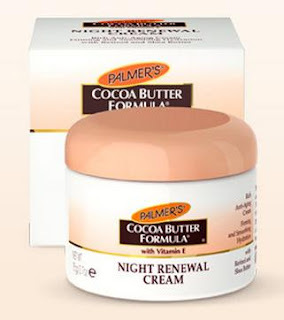 All the support for this Palmer's cocoa night renewal cream. Nava, that's nice to know that! Thks for the feedback! i've been looking out for facial product made of butter, but i dont know which one is good..i think this is it, but im not sure if i can find it here..hehe.. I've never used Palmer's cocoa butter and their line of skin care but I've heard great reviews. Wow! Night renewal - anti-ageing - skin firming - all just what i needed. Shall be getting a bottle real soon. Meanwhile, thanks for sharing about the free sample. Aemy, u can chk out their website. I think Palmer's avail in a lot of countries. Fish, u don't like the scent? Well, I'm surprised cause the night cream is rather mild. Sounds like a real deal...always nice to have a good product for a reasonable price. You're so awesome to always be sharing wonderful products like this, Shirley! Small Kuching, it's my first time trying their products & I'm impressed!